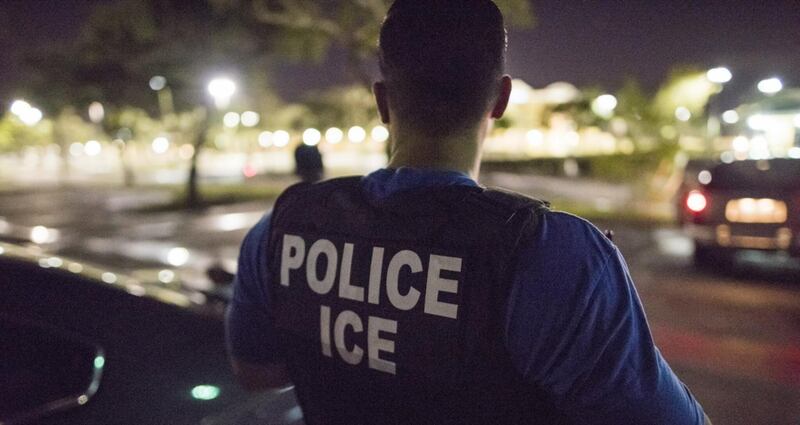 HOUSTON, Texas — Rep. Robert “Beto” O’Rourke appears to support abolishing the U.S. Immigration and Customs Enforcement (ICE) agency. Democrat O’Rourke is running for U.S. Senate against Sen. Ted Cruz to represent the border state Texas. According to Texas Tribune reporter Patrick Svitek, O’Rourke was asked about abolishing ICE at a town hall in San Antonio on Friday. While the livestream of the town hall cut out before O’Rourke answered, Svitek tweeted the complete response. When asked directly, “So would you abolish ICE?”, O’Rourke, whose district includes the border city of El Paso, said that the alternative would have to be determined before shutting down the agency. Also, the Democrat candidate for U.S. Senate from Texas, criticized ICE and its work in deporting aliens who have illegally entered the United States. When we see the fear that has been injected into our communities, that’s not good for any of us. It’s certainly not good for those who live directly under that fear. It’s not good for the rest of us, who benefit from the contributions that those fellow members of our community can make. Republican Sen. Ted Cruz fully understands the border security issues and has proven record leading the efforts to secure our border. That’s why he’s been endorsed by the National Border Patrol Council, the union of border patrol agents nationwide.